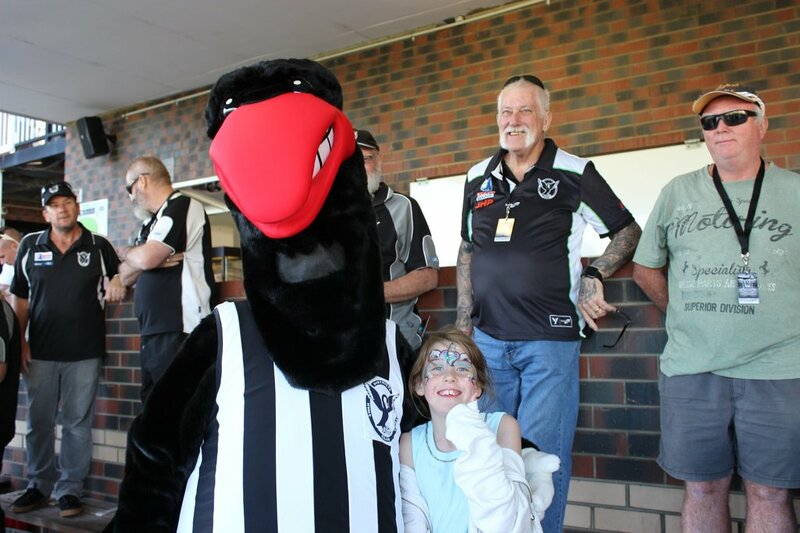 Last night Swan Districts Football Club invited club sponsors, Judda Bee members and key stakeholders to a networking event at club sponsor Mandoon Estate in the Swan Valley. The evening included a panel discussing the business of football led by Swans MC Tallan Ames. Panel members included past West Coast Eagles Chairman and Alcoa executive and also past Swans player, Allan Cransberg, West Coast Eagles CEO Trevor Nisbett and WA Football Commission CEO Gavin Taylor. The discussion provided guests with an insight about the issues in common between sport and non-sport business such as governance, organisation values and attracting new customers. It also covered the unique challenges of sport and in particular football. There were several references to the club’s recent re-set of its purpose, vision and values. 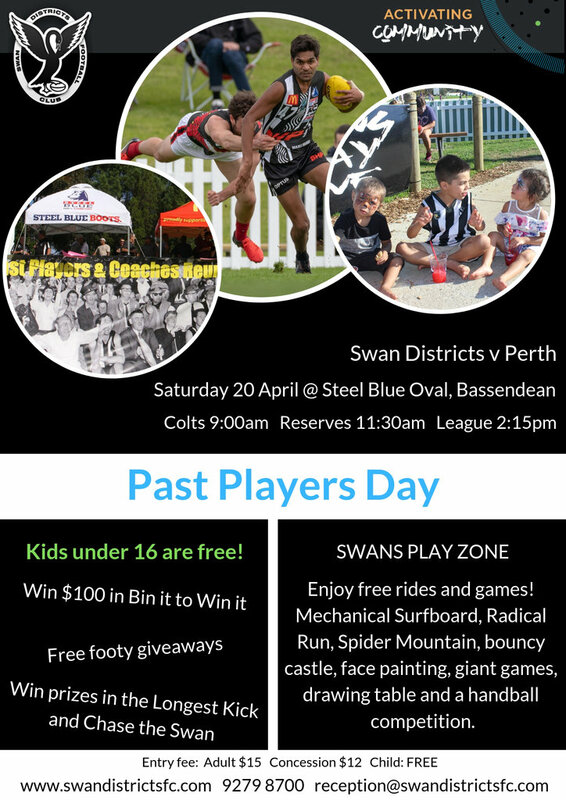 The Swans purpose is to build community and develop people. The vision is to be a well-connected and community-engaged football club which improves social outcomes and the sense of wellbeing within the wider Swans community. The club’s values that provide the foundation to deliver this aspiration include; we act with integrity, everyone matters, raise the bar (to be the best person you can), and we fly together (an old Swans catch cry representing loyalty to family, friends and club). The evening also announced that the club’s stadium naming rights sponsor, Steel Blue, had signed on with the club for a further 3 years. 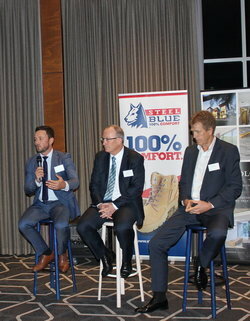 Steel Blue has been a long-time supporter of the club and celebrated its 23rd birthday the day of the networking event. They came on board as a major sponsor 14 years ago in 2004 and have continued to be a valued member of the club’s community ever since. The Steel Blue Oval name has become a significant landmark in the eastern suburbs of Perth. Guests enjoyed the hospitality provided by the club’s new sponsor for 2018 Mandoon Estate. Mandoon Estate has become a leading tourist destination and world class family owned winery and brewery. Now into its 4th year and approaching it’s 1 millionth visitor, Mandoon Estate has established itself as a must visit attraction in Western Australia. Allan Erceg realized his vision for a multi-faceted venue in 2014 and has now opened a boutique 32 room Hotel at Mandoon Estate which compliments its 350 seat function centre overlooking the Swan River.